We will answer important questions relating to enrollment now that you are turning 65, or, those of you who didn't retire or enroll when you were first eligible. Read this short article to learn more about what Medicare Part A covers. Read this short article to learn more about what Medicare Part B covers and when you should enroll. Although there are several options for health insurance coverage after you turn 65, Medicare Supplements and Medicare Advantage Plans are usually the most talked about. Medicare Supplement Insurance, which is also referred to as “Med Supp” or “Medigap”, is for people who are covered by Medicare. It helps to meet the health care expenses that Medicare does not cover. It fills in the gaps and lowers your out-of-pocket costs. 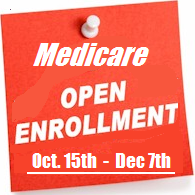 Medicare Supplement plans charge a monthly premium but have minimal out of pocket costs. According to Medicare.gov , a "Medicare Advantage Plan (like an HMO or PPO) is another way to get your Medicare coverage." 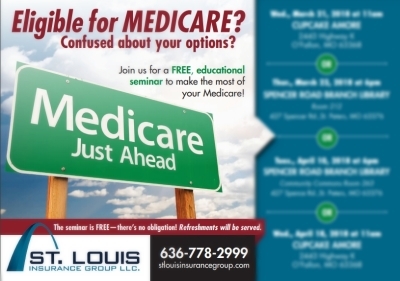 Medicare Advantage Plans are sometimes called "Part C" or "MA Plans". Generally, Medicare Advantage Plans have lower monthly premiums but have higher out of pocket costs and you'll most likely use your plan's provider network to receive any services. Read this short article to learn more about what Medicare Part C is and other key tips before you enroll. Read this short article to learn more about what Medicare Part D is and how to choose the right plan. Health insurance during retirement is a necessity. We work with all of the Medicare plans available in the area. We will help you navigate the options.